Technology moves fast. After six months, you realize that the hottest products lose their shine as new products arrive. Although the Nexus 9 is a 9-inch tablet and the ZenPad S 8 is a 8-inch tablet, we hope that this comparison will help your tablet shopping endeavors. Note: The winner of specs vs. specs will be indicated by bold italic lettering. Thickness is a measurement that matters here. The Nexus 9 is 7.95 mm vs. ZenPad S 8.0 (Z580CA) at 6.6 mm. Screen resolution is a tie at 1536 x 2048. However, because of the screen size difference, let’s look at the ppi (pixels per inch). Asus has 324 ppi whereas the Nexus 9 has 288 ppi. RAM – The 4GB on the ZenPad beats out the 2GB on the Nexus 9. No contest on this one. Speakers are a draw right now because nobody has been able to do a side-by-side comparison. However, both of these tablets have fantastic front facing stereo speakers and that’s a win. Weight is another interesting feature. It should be worth double points for a win don’t you think? The Nexus 9 is a bigger tablet so it’s going to be heavier. However, we can dig into this a bit deeper and compare this as a ratio of weight to size. In this case, the Nexus 9 is 425 g for the wifi version. Thus, the Nexus 9 scores a 47g per inch. The ZenPad S8 (Z580CA) is 8 inches and the weight is 298g. Thus, the ZenPad Z580CA scores a 37g per inch. Your winner, but quite a bit, is the Z580CA in terms of being lighter. Internal storage and storage options in general are important. 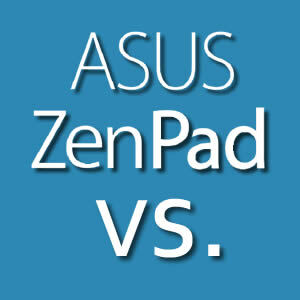 The winner is the ZenPad S8 (Z580CA) by a long shot. Let’s explain. First, the Nexus 9 has 16GB or 32GB configurations. The Z580CA has the 64GB option. Then we need to talk about microSD slot expandability. The Z580CA can use a SDXC card for an additional 128GB. Yes, it’s true. The Nexus 9 has no microSD card slot. Beyond these specs, there is the additional free for life online Asus cloud storage of 5GB. This is what we call “n/c” or no contest. The processors in the two tablets is essentially a draw. Both clock in at 2.3GHz. They are both fast, how else can we say it? Verdict: draw. Next up the camera comparison. The best front camera easily belongs to the Z580CA at 5MP with the Nexus 9 sporting a 1.6MP front camera. The rear cameras are a draw, with both having a 8MP. We can’t say for sure who wins the rear camera vs. just yet because there aren’t any reviews. Battery wise, the Nexus 9 is packing more, which should give the Nexus 9 a substantial battery life advantage. However in this comparison, it’s not measurable yet. The Nexus 9 has a 6700mAh whereas the ZenPad S Z580CA has just a 4000mAh. On the surface, the battery life could be quite a big win for the Nexus 9, but we will update in the near future. The miscellaneous category are the “extras” or features that one tablet has over another. In the case of the Nexus 9, it’s running a pure Android and as a result it will get the Android updates much faster than the ZenPad S Z580. That’s important for a lot of consumers. I will add one opinion though and suggest that Android updates are not what they used to be. When Android first came to market, each update carried with it vast improvements. At this point, it’s quite refined. The updates generally don’t offer up game changing improvements like they once did. Give the Nexus 9 the win in terms of running the more current Android OS. The Asus Z580CA has a substantial and potentially game changing spec/feature that the Nexus 9 does not have. The USB 3.0 aka USB Type-C is the connector of the future and have even more future benefits now that Thunderbolt has joined Type-C. You can be assured that the Z580CA has some future proofing thanks to the inclusion of this port type. To add another feature to this feature fest, we need to look at the Z Stylus that the Z580CA has. The Nexus 9 has no form of such pen input and as a result, Asus can boast more bang for your buck. Price comparison? This is where the rubber hits the road. 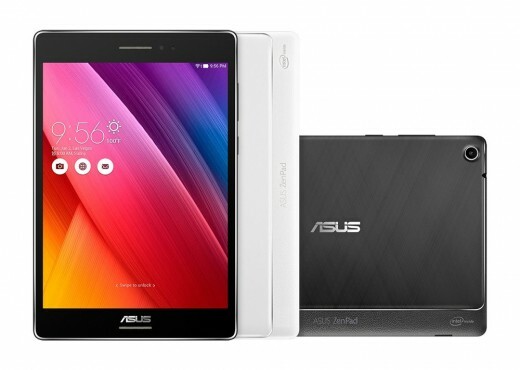 We simply have no clue what Asus will be charging for the ZenPad S8 tablet. We know that Asus has always put their products at a cheaper price point than the competition. With the Nexus 9 aging, can Asus win the price advantage? Hard to say right now. Stay tuned though. Well, are you still considering a Nexus 9? When you break down spec by spec, it does give you a sense of awe. Asus really put every ounce of effort into creating a beast of a tablet. Price will be a big factor in a Nexus 9 comparison, but from a specs perspective, the ZenPad Z580CA blows the Nexus 9 out of the water. It’s pretty difficult to say similar price when you’re talking about 64GB vs. 32GB. If you look at iPad pricing, compare the price increments when you double the storage. Beyond that, the Nexus 9 has no microSD slot to make it 64GB. I hear your point, but it’s really difficult to be accurate with price comparison because year old or two year old tablets are always going on sale, and then it’s a question if the specs/value are reasonably close. Storage in this case, is the most expensive feature to add. If you think about it also, if Asus cut the storage in half to 32GB and made it the same RAM as the Nexus 9, it’s going to be far less than $299. In fact you could look at the $199 ZenPad Z580C as being a more realistic comparison. Then you’re talking about $150 price difference. It’s tricky, but thanks for visiting and commenting! I need to use my tablet outside with little shade, so I’d be interested in any direct experience regarding the sunlight/outdoor readability of the ZenPad S vs the Nexus 9. The Nexus 9 has a brighter screen (471 NITS vs 378 for the ZenPad S). But the Nexus 9 doesn’t have a laminated display like that on the ZenPad S, and I’ve heard this helps reduce reflectivity and washout. So, any real-world experience with both products would be especially appreciated. Also, a reader here commented that Asus is looking at a software modification that would allow a user-selectable big boost in screen brightness. Any news on that? I’d >love< that, even if it comes at a big price in battery life. I think this would be a big hit with people using the tablet in a sunlit environment (automobile/airplane navigation, etc). You might want to look at the video in this article which puts the ZenPad against the iPad mini 3. In there they do a screen reflective comparison. I’m not sure how much stock you could really put into that however, but it’s something. I can tell you that I tested the Z580CA against the iPad Air and it’s very comparable. Nexus 9 I’m not sure about but to me that difference in NITS doesn’t seem dramatic. But sure in theory more NITS should result in better outdoor reading. I personally don’t think any tablet is ideal in outdoor situations, but they all have improved for sure. Sorry I can’t offer a Nexus 9 comparison but hopefully someone can help you on that. You never talked about the comparison of GPU capabilities. Nvidia’s K1 chip and ability to do real time GameStream is pretty huge. Although I do like the 4G RAM on the Asus tablet. I’d still like to see benchmarks of both as you are comparing them such as CPU, GPU, RAM speed, etc. Thanks for the feedback. Point well taken and benchmarks will be part of what we do moving forward. Thank you.